Security personnel mistook Her Majesty as one of several intruders who have gained entry to Buckingham Palace in recent years. It is one of the perks of being a member of the archaic hereditary UK monarchy that you have armed guards watching over you at all hours. But that apparently almost backfired for the Queen when she decided to take a late-night walk around the palace grounds and came close to being shot. From time to time her majesty is said to struggle to sleep. During a spell of insomnia, the 90-year-old will occasionally put on her coat and go for a short stroll, an ex-guardsman told The Times. Late one night, he said he was patrolling inside the perimeter of the Palace walls when he spotted a figure in the darkness. But to his surprise, it was actually the Queen. “Bloody hell, Your Majesty, I nearly shot you,” he is reported to have said, on impulse. Perhaps realising this wasn't the tone to be used when addressing the Queen, he told The Times he expected a telling off. But the Queen reportedly took responsibility for putting him in such an awkward position. It is believed the encounter happened at the Queen’s normal weekday residence, Buckingham Palace. In 2013, Prince Andrew was also mistaken for an intruder and confronted by armed police as he walked in the vast gardens. Police said no weapons were drawn but issued an apology to the prince, despite the palace having been subject to several real security breaches in recent years. In August, a 22-year-old man was arrested just after 4am after climbing over a security fence. He was spotted by officers monitoring CCTV. In May, Denis Hennessy, 41, climbed over barbed wire and roamed the palace grounds for about 10 minutes while The Queen, Prince Philip, and Prince Andrew were in residence. Before that, in 2013, a man scaled the perimeter fence and was found at around 10pm actually inside the building, in one of the State Rooms. None of the royals were home at the time. 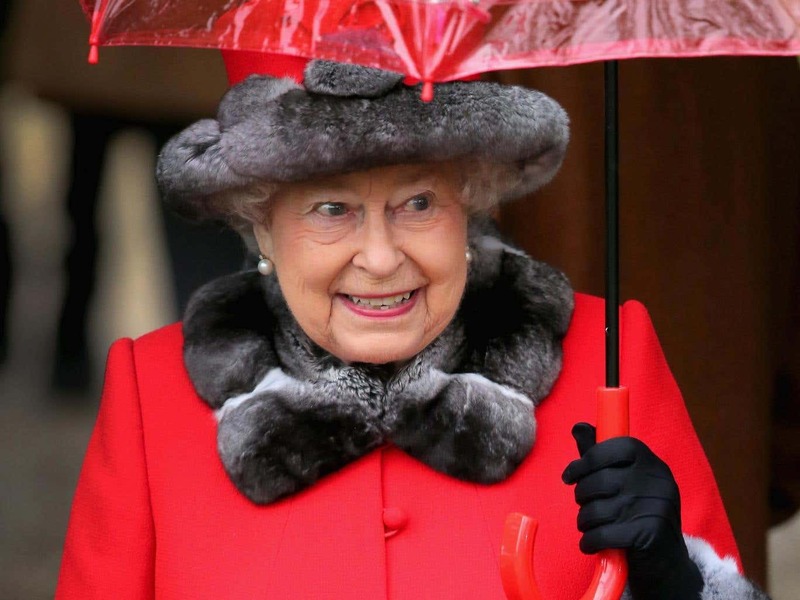 The news of the near-shooting comes at a time when the public is particularly tuned into the Queen’s wellbeing. The elderly monarch was not seen for a fortnight over the Christmas period due to poor health. She missed a New Year's Day church service at Sandringham because of a lingering heavy cold, and just a week before that she and her husband, the Duke of Edinburgh, were forced to delay their journey from Buckingham Palace to their Norfolk estate after she fell ill.